Bird Rock at Rodeo Beach. 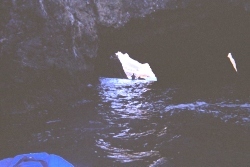 There are a couple of tunnels through the rock, at least one big enough to paddle through. 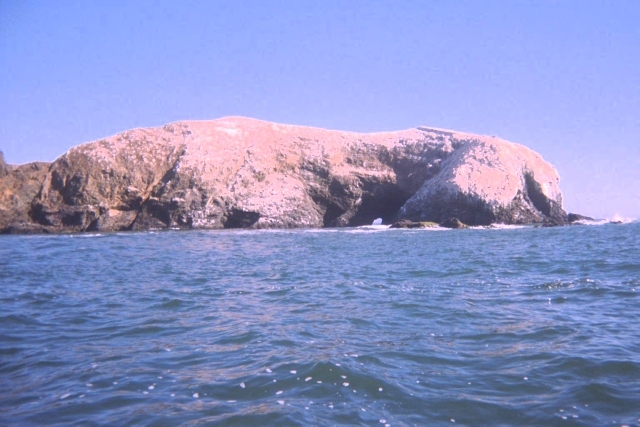 Note that there's a Bird Island further north, near Tomales Point. 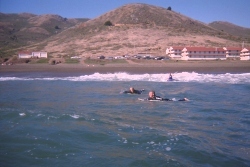 I wouldn't go kayaking near there, cause of the sharks - four attacks in the past 30 years.